Lean Thinking: Economy I and II - Never the Twain Shall Meet? Economy I and II - Never the Twain Shall Meet? But Economy II is bankrupting America (and Europe, for that matter). Economy I can no longer create enough off-setting value and wealth. Conservatives argue that Economy II can only be mended by applying the disciplines of Economy I.
Enablers to this approach include education and health care vouchers that put choice into the hands of the customer. Liberals ("progressives") argue that the philosophies & techniques of Economy II are not necessary and wouldn't be effective in any event. A better approach, they argue, is to elect capable, charismatic political leaders, who can reform Economy II by force of personality. They cite Rahm Emanuel, mayor of Chicago, as such a leader. Being an engineer and a businessperson, I'm naturally inclined to the practices I learned at Toyota. The past twelve years, our Lean Pathways team has applied them with great success in a variety of industries. Toyota thinking is rocket fuel. Stick to the recipe and wonderful things happen. This is the evidence of my eyes and whole being. The liberal/progressive argument seems, forgive me, to entail 'magical thinking'. 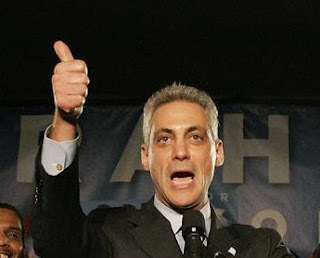 Even if it were based in fact, how many Rahm Emanuel's are there? And what happens when Rahm inevitably resigns as mayor of Chicago? The broken processes mean a rapid regression to the bankrupt mean.